As part of our service, we also make available hotel reservation Lima, Huaraz. This is to inform, which can help to make the budget reserve. If you would like to make hotel arrangements, please do not hesitate to request more information about the different standards of hotels and prices. Hotels are establishments which provide accommodation and food, not always clear the system of stars to determine their category, so we will explore in as much detail as possible so classified. Hotels are classified by stars, and the range goes from a star more stars. Given these stars, you will know immediately what you can expect from your accommodation, a star represents a hotel with basic features, the minimum required for an establishment, and in the other extreme, only get more stars hotels luxury, with every possible comfort. 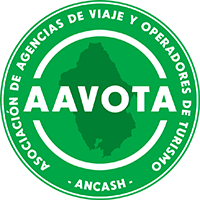 The Tourism in Peru has high season between May and August, for this reason it is recommended that visitors make his reservations well in advance to ensure your stay. We offer accommodations that we have carefully evaluated.